Comment Action allows to insert comment notes directly in Task that describes the design specifics or can later remind the Task design. Comments can also be retrieved by other Actions. 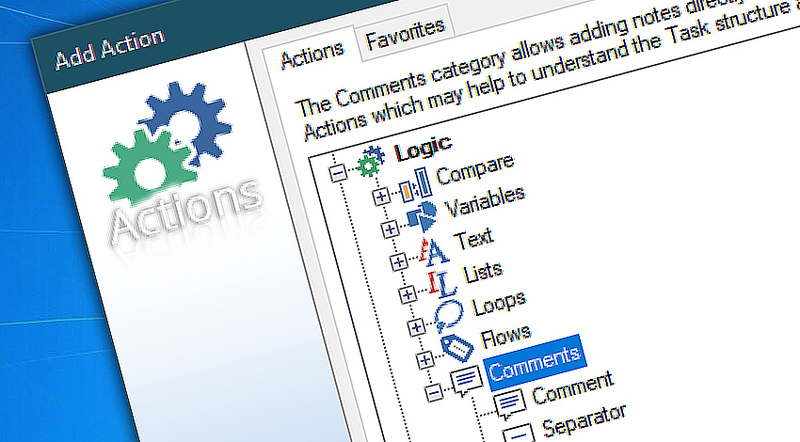 Comment is a passive action that allows user to make remarks directly within the Task to remember its structure, design or parameters. Comment contents, though, can be retrieved by following actions. Comment · put comment directly in workflow. 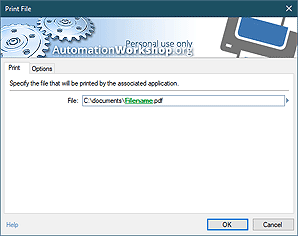 We're very pleased with our choice of Automation Workshop. We've expanded our use and rely on it heavily. —Laurie L.